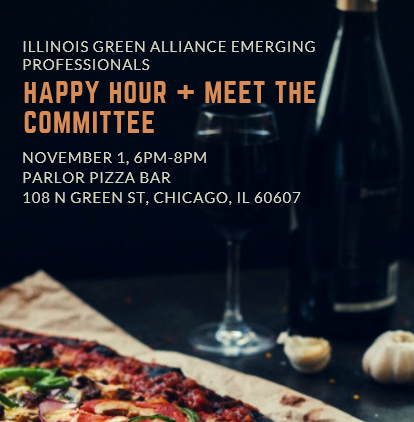 Attention all Illinois Green Alliance Emerging Professionals: Come one, come all, to the November "Meet the EP Committee" Happy Hour! Get to know the 2018 EP Committee members and learn how you can get involved in 2019 over food, drinks and of course some hilarity. We'll meet at Parlor Pizza Bar in the West Loop at 6 p.m. We would love to see you there!